The Green Wall only have one more chance to try to win an event in WWII. UNILAD continue to prove that they have what it takes to beat the Green Wall when it matters most. Just one month after the Europeans eliminated OpTic Gaming from the 2018 CWL Anaheim Open, UNILAD have once again knocked the Green Wall out of a major tournament. Bradley “Wuskin” Marshall, Sean “Seany” O’Connor, Alex “Alexx” Carpenter, and Zach “Zed” Denyer beat OpTic 3-0 on Saturday to send them home from the CWL Pro League Stage Two Playoffs. After losing an intense series against FaZe Clan last night, OpTic struggled in their do-or-die match against UNILAD. Interestingly enough, these two teams chose to play some of the same maps as their losers bracket match at CWL Anaheim. In June, OpTic took Valkyrie Hardpoint 250-237—but today, UNILAD got great slaying performances from Alexx and Zed to win map one 250-191. The decisive fifth map between these two teams in Anaheim was Sainte Marie du Mont Search and Destroy, which UNILAD won 6-5. Today, that was map two—and UNILAD was victorious once again, 6-4. The Europeans then secured the series sweep of OpTic with a hard-fought 2-1 victory on Flak Tower Capture the Flag. This was a huge statement win for UNILAD, who will look to use this as momentum to begin a long losers bracket run in the playoffs. The Green Wall will now head home with a disappointing top eight placing after coming in first in Division B during the regular season. 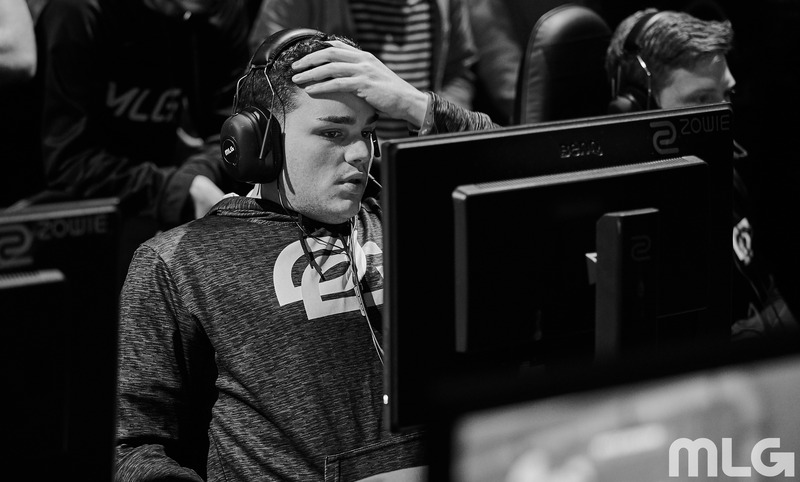 This also means that OpTic will only have one more chance to capture the organization’s first championship in WWII at the biggest event of the year—CoD Champs 2018, which starts on Aug. 15.